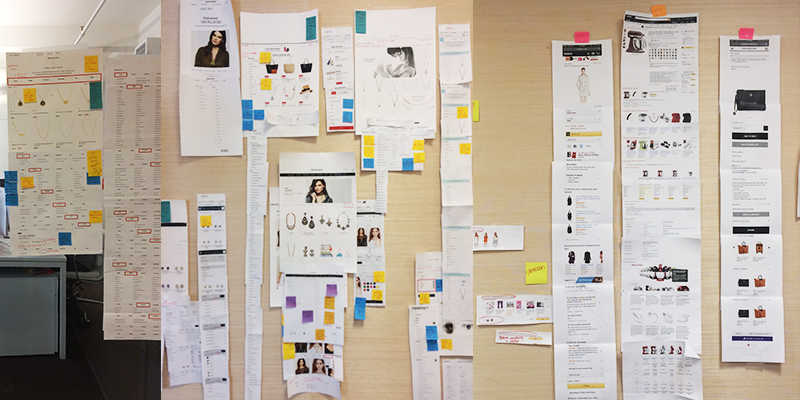 Transfer sketches and ideas from design studio to interactive wireframes. users can access to it anytime when they were browsing. 2. Loading twice amount of products by default and remove pagination use “load more baubles” button to create a seamless shopping experience, no thinking required. 3. Enhancing filter function by collaborated with merchandise and developer team to clean up color filter mapping and products displaying logic. Previously, it did not display the correct product when a color was chosen. 4. Creating products status badging system. No more “quick fix” style of badging. Through the consistent UI treatment our users can quickly learn where to look for product status information. In addition the system can easily be expanded for further marketing programs.